This holiday house divided into two apartments (see GPE123) is located in the peaceful and rustic southwest of Nafplio, near the beaches of Kandia and Drepano stretching to the horizon. This holiday house divided into two apartments (see GPE123) is located in the peaceful and rustic southwest of Nafplio, near the beaches of Kandia and Drepano stretching to the horizon. These rural villages nearby are not very animated. However, Nafplion offers lots of great surprises: you will walk on the square lined with pretty tavernas and enjoy the characteristic atmosphere of this small town, the city of love, with its enchanting bay and old town, especially the lively Staikopoulo street. The Venetian fortress of Bourdzi island is to visit. A cot is available on request. This apartment is made from brick or stone and was originally built in 1990 and refurbished in 2005. The agent has rated it as a three star property so it is a well-kept apartment, equipped with standard furniture. It is also good value for money. 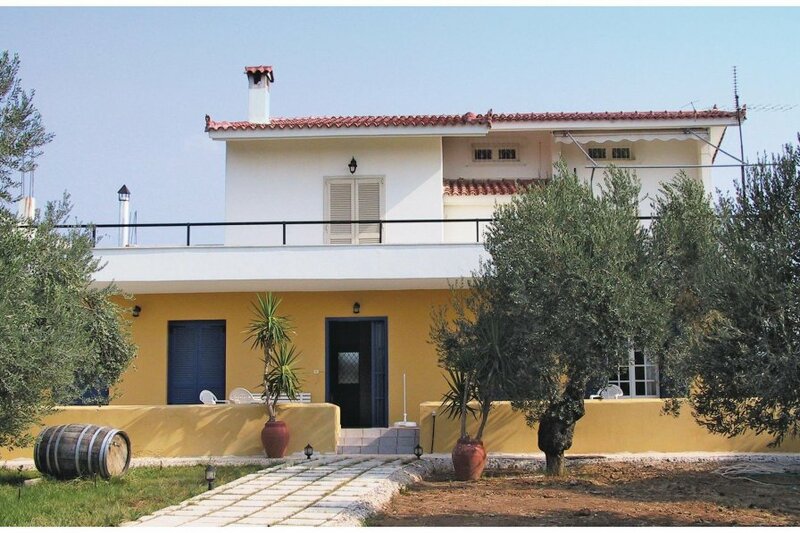 This apartment has sea view and is located in Peloponnese, only 600 metres from Kandia. It is set in a very convenient location, just 500 metres away from a sandy beach. There's also a restaurant only 500 metres away. You can also park on-site at no extra charge. The apartment is adequately equipped: it has a refrigerator and washing machine. It also has a barbecue, a garden and some garden furniture outside.